I went to a very special event yesterday (in my role as co-Chair of Islington LGBT staff forum) in an unassuming back street in Bloomsbury. 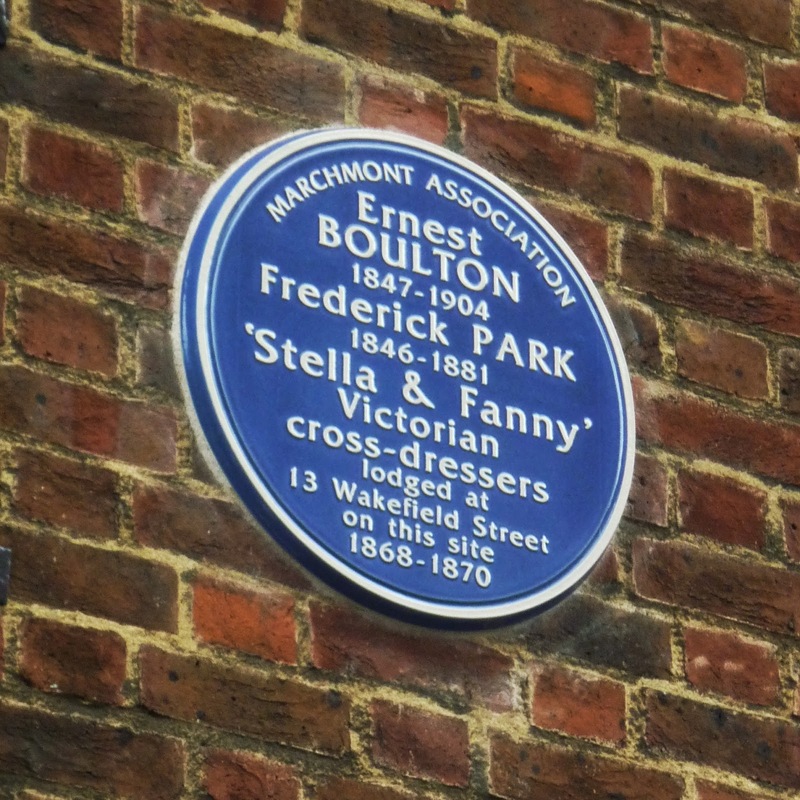 Public recognition is bestowed at last upon two favourite gay heroes/heroines of ours - those Victorian pioneers of gay resistance Ernest Boulton and Frederick Park, better known (of course) as Stella and Fanny. Read my entry in the Dolores Delargo Towers Museum of Camp about them. The eponymous stars of a tremendous tome by Neil McKenna (the launch of which we attended during LGBT History Month this February), it was fitting - in the absence due to ill-health of the scheduled Bette Bourne - that he was asked by the sponsoring Marchmont Association to do the honour of unveiling a blue plaque to the pair. As he said to the sizeable crowd (that included authors Rictor Norton and Neil Bartlett and representatives of gay history research organisations and Gay's The Word bookshop): "Unaccustomed as I am to pulling things in public..."
Given the outrageous behaviour of Fanny and Stella during their time in the "house of accommodation" [aka brothel] in Wakefield Street - cross-dressing, soliciting gentlemen in public, blatant homosexuality, arrest and trial - it was ironic indeed that the current site (the terrace was flattened during WW2) is occupied by the headquarters of the Unitarian Church! 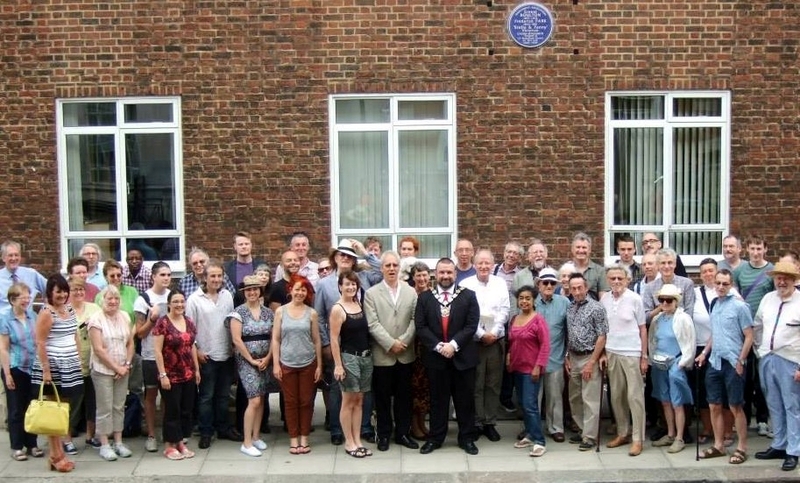 However, as everyone mentioned in their speeches (not only the wonderfully entertaining Mr McKenna, but also Camden's Mayor (our friend) Jonathan Simpson, Ricci de Freitas of the Marchmont Society and the host Rev Roberta Rominger) times have changed since Fanny and Stella's day. Yesterday was also the birthday of another idol here at Dolores Delargo Towers, Mr Jerry Herman. And here is a marvellously apt song from the great man's La Cage Aux Folles that might have been written for our Victorian doyennes of drag - A Little More Mascara! 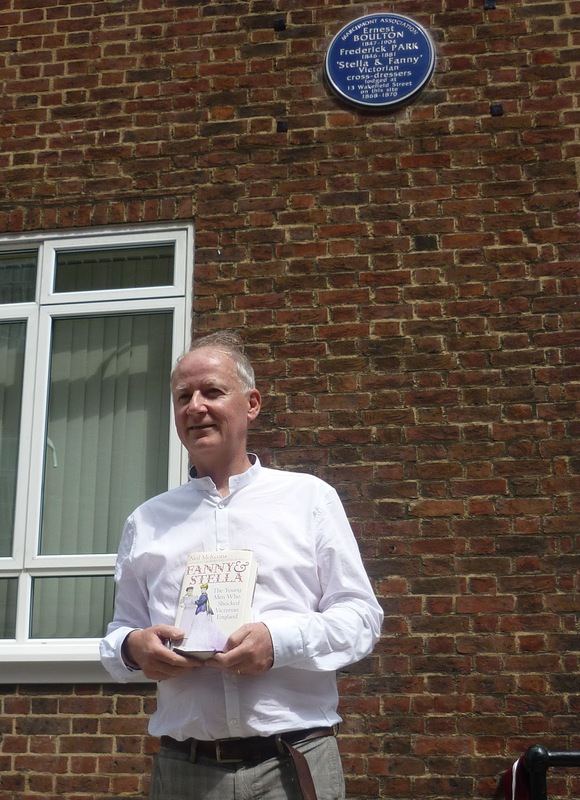 Fanny and Stella - The Young Men Who Shocked Victorian England by Neil McKenna is published by Faber & Faber. Enjoyed the Randy Roberts clip too, by the way.